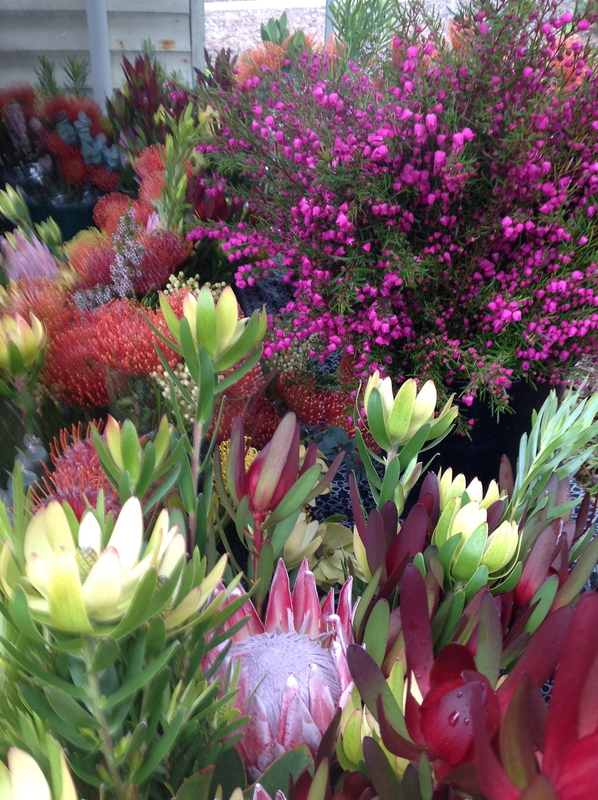 Attends the MRFM when flowers are in season. See facebook for regular weekly attendance updates. 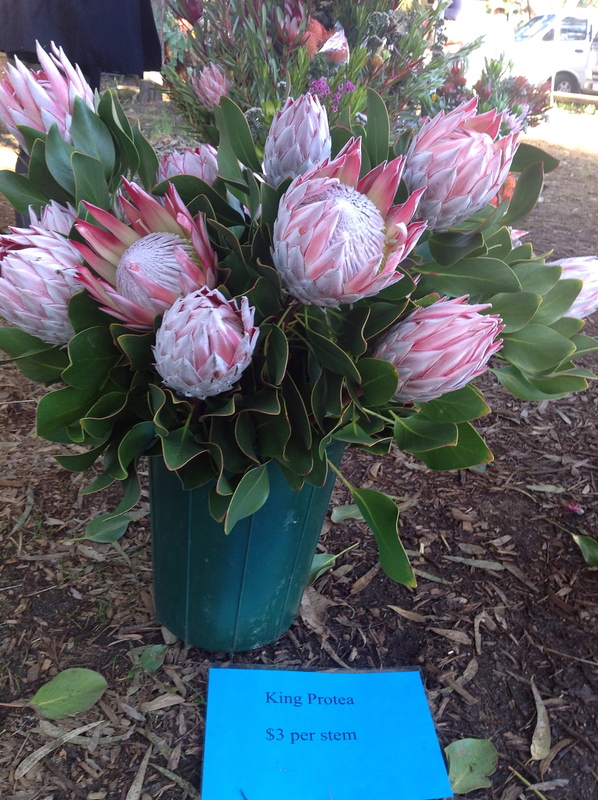 Owners Pam and Tony Small have been growing Proteas for 14 years. 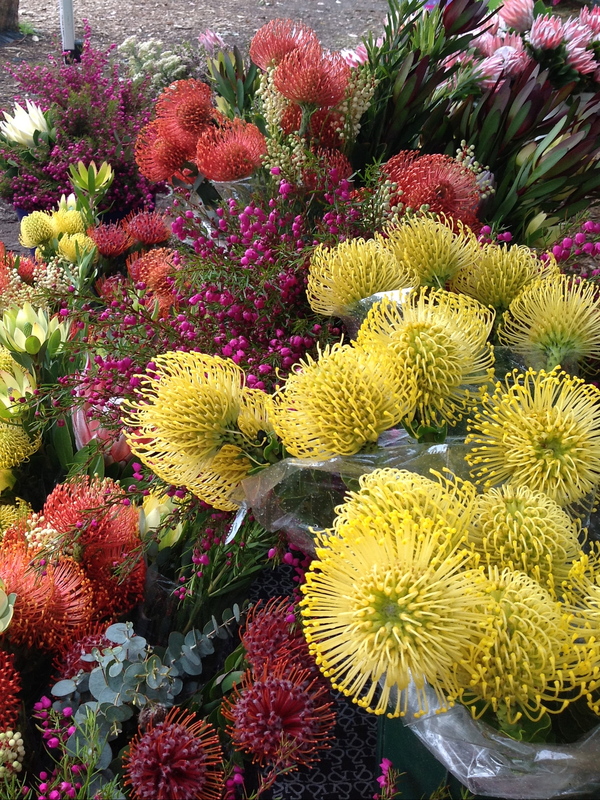 At the market, bunches are sold with mixed product ready to give as a gift or to brighten your home. Flowers are available from March to November and vary according to the weather. Special occasions can be catered for with small gift boxes, pottery vases with posies, table centerpieces and arrangements. Flowers can be purchased at reasonable prices to do your own thing for weddings, funerals, birthdays etc.